Our daughter was born on March 2, 1990 and died on March 15, 2014. Just 24 years old. 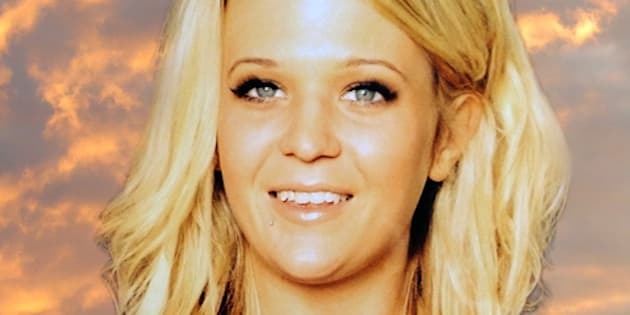 She died from an accidental OxyContin overdose... We decided to tell her story to make people aware of the problems that could result from untreated mental health issues. Our daughter, Katie, suffered from debilitating anxiety her whole life. That is a lot of pain to carry around if not dealt with professionally and with compassion. As an example, imagine you had a terrible toothache for 15 years and you went to the dentist and he said don't worry, it will probably go away. You'll outgrow it. Well that is exactly the advice our daughter was given by the multiple health care professionals she went to see from her early school days right through her teen years. As a result, she carried that pain of anxiety, the constant worry about not fitting in and the stress of trying to fit in her whole life. Our daughter was born on March 2, 1990 and died on March 15, 2014. Just 24 years old. 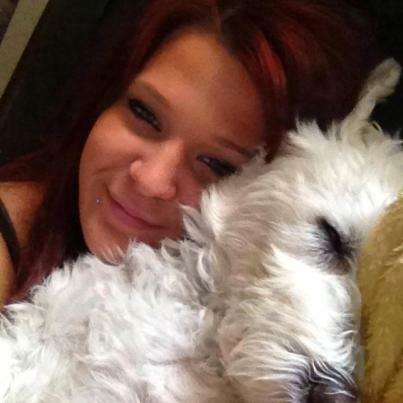 She died from an accidental OxyContin overdose. When she died we didn't blame the system. We didn't dwell on the lack of available services. Certainly a better support system and timely services could have helped but we didn't see a lot of benefit in complaining. Instead we decided to tell her story to make people aware of the problems that could result from untreated mental health issues. We wanted people to be aware of the probability of addiction from untreated mental health issues. It does seem odd that there is no correlation between the poor advice or misdiagnosis given to a young patient when they are preteen to that patient dying from complications of misdiagnosed mental illness. There is no feedback mechanism to let them know they were wrong. The one thing that has bugged us about the mental health professionals that Katie met over the years was their level of accountability. This isn't a blog that is meant to disparage the mental health care field, as there are lots of good people doing some incredible things. But it does seem odd that there is no correlation between the poor advice or misdiagnosis given to a young patient when they are preteen to that patient dying from complications of misdiagnosed mental illness. There is no feedback mechanism to let them know they were wrong. It makes one wonder if the lack of a proper diagnosis and adequate follow up, when there is even a hint of a mental illness, had resulted in so many concurrent disorders during adolescence and have increased the likelihood of one of these young people dying. When Katie met various mental health professionals in her earlier years they would tell us she will grow out of it. Don't worry so much, try not to put so much pressure on her. We didn't then, but we now interpret those words to mean "we can tell there is something not quite right, but she'll probably grow out of it". If a doctor sees that a patient's white blood cell count is elevated, they do not say "don't worry about it, you'll probably outgrow it." They may say, "there is nothing to worry about immediately but let's schedule some follow up appointments and rerun the tests just to make sure." If you are worried that something is not quite right, you have to be vigilant in your search for appropriate health care professionals and facilities. We want other parents to know that health care professionals are burdened with an overwhelming number of children and young people in crisis. Mental illnesses complicated by addiction require urgent and ongoing treatment. We tell people to go with their gut feelings. If you are worried that something is not quite right, you have to be vigilant in your search for appropriate health care professionals and facilities. The CMHA (Canadian Mental Health Association) is an important resource that can connect you to resources in your community. Everyone struggling with mental illness and/or addiction deserves immediate and ongoing treatments, counselling, regular follow-up appointments and monitoring. By educating ourselves and advocating for young people in crisis, we can improve the current understanding about good mental health. How to recognize it, how to achieve it, how to regain it. Family members, teachers, friends and employers can all make a difference by engaging in open and honest dialogue about mental illness and addiction. We need everybody on board to turn this crisis around. 3. Chesney, Goodwin and Fazel (2014). Risks of all-cause and suicide mortality in mental disorders: a meta-review. World Psychiatry, 13: 153-60. The Maddie Project is a community effort in support of youth struggling with depression and other mental health related concerns. Driven by community collaboration and events, the project's goals are to raise awareness by sparking conversations about youth depression and mental health concerns as well as to help provide uninhibited access to support for youth and their families. The Maddie Project was founded in April 2015 in memory of Madeline Grace German Coulter. To date the project has engaged 100s of thousands in active conversations around youth mental health and has raised over $1 million dollars in partnership with North York General Hospital Foundation towards the development of Maddie's Healing Garden and support of other child and adolescent mental health services at North York General Hospital.